Ever since Microsoft announced the latest iteration of the Windows operating system last year, users have been patiently waiting for its arrival in the market. The demos presented by the company has got the market excited for the plethora of cool features. Microsoft also corrects its blunder of removing the start menu in its last offering by bring back the menu in Windows 10. The company is now ready to bring the latest OS to its customers worldwide and will be launching it this summer in 190 countries. Microsoft will offer a one-year free upgrade which will be available to the customers running Windows 7, Windows 8.1 and Windows Phone 8.1. Users can choose from 111 language options for the new operating system. Microsoft has a strategic plan to roll out Windows 10 in China. The firm stated that it would partner with leading companies like Lenovo, Tencent and Qihu 360 to deliver the new Windows OS to its customers. As said earlier, more countries will soon get the update by summer this year. Along with announcing the launch time of Windows 10, Microsoft brought out few more interesting tools to make computing more personal. 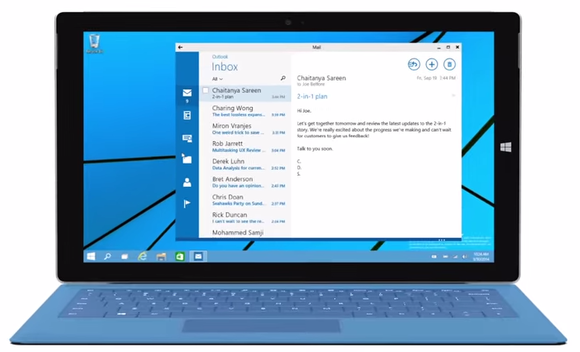 Windows Hello is one of the recent features added on Windows 10. This innovative offering eliminates the need for passwords and gives instant access to your devices through biometric authentication, i.e. analyzing your face, iris or fingerprint. Microsoft has also put major focus on Internet of Things(IoT) devices with this new launch. This advanced Windows OS will also work with major institutional devices like ATM’s, ultrasound machines, gateways, and more. The company plans to connect with more machines and is in talks to collaborate with companies lke the Raspberry Pi Foundation, Intel, Qualcomm and other tech organizations. One revelation that caught the eye was that Microsoft signing up with Chinese smartphone Xiaomi for the developmental of Windows 10. A select group of Xiaomi Mi 4 power users will be invited to test Windows 10 and share their feedback with the company. Seems like Microsoft is trying everything its powers to capture some of Android’s massive market share. Microsoft though would not have to convince the massive number of Windows desktop users as they would be elated to get the free upgrade and of course the Start menu that comes with it.